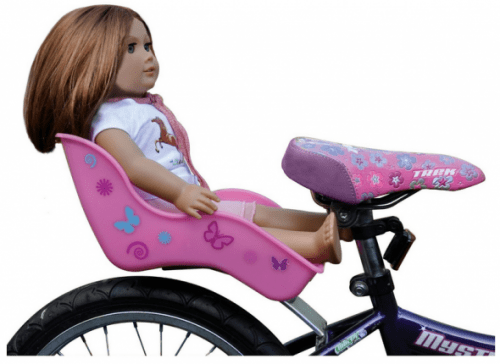 Save 36% on the "Ride Along Dolly" Doll Bicycle Seat with Decorate Yourself Decals, Free Shipping! Save 36% on the “Ride Along Dolly” Doll Bicycle Seat with Decorate Yourself Decals, Free Shipping! The “Ride Along Dolly” Doll Bicycle Seat with Decorate Yourself Decals is on sale for $15.95 at Amazon right now. That's 36% off the list price of $24.95!